Sandpiper Cat: You say Goodbye, but I say Hello! Wrapping up an incredible 2011 is hard to put in just a short post. 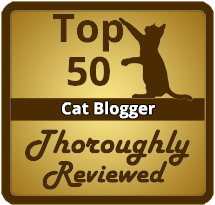 In 2011, Piper joined my feline family and started my blogging regime. Without her, this blog wouldn't even exist. I am thankful that she ended up with my family, even if it upped our fabulous feline family count to seven (EHH!) cats! Piper was my miracle. She has showed me that you can overcome life's hardest obstacles, like when Piper lost her five kittens due to a miscarriage. In a matter of a few weeks after, she bounced back to health and started her new life as a Shubin family cat. Without Piper, this blog would not exist! 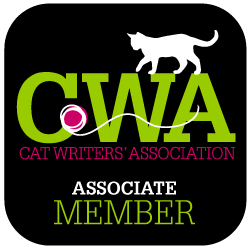 I would not have met so many wonderful contacts at BlogPaws in August, and met them again at the Cat Writers' Association Conference in November. I never thought that I would only be eighteen years old, and already have a blog with followers and Sandpiper Facebook fans! I love coming on to my blog and seeing the feedback, as well as leaving feedback and comments to my other blogging friends. I have met so many people, like Amanda LeGaux of the Greenies Team! They sent Sandpiper Cat a lovely Holiday card and Greenies treats! (Which came in handy when Sabrina and Piper made a jail break at 2 am and had to be lured back into my parents' room). 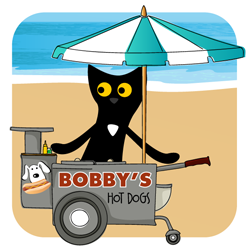 Thank you to all the wonderful mentors I've had, Ingrid King of Conscious Cat, Deb Barnes of Zee and Zoey, Layla Morgan Wilde of Cat Wisdom 101, Stephanie Harwin of Catsparella, Caren Osrin Gittleman of Cat Chat with Caren and Cody, Angie Holland Bailey of Cat Lady Land, JaneA Kelley of Paws and Effect, Janiss Garza of Sparkle Cat, Kate Benjamin of Modern Cat, Tamar Arslanian of I Have Cat, Robin Olson of Covered in Cat Hair, Teri Thorsteinson of Curlz and Swirlz and so many other wonderful women who continue to blog daily! Happy New Year from Piper and Rachel! And I am very proud to announce that one of our upcoming January posts will be an interview with Jackson Galaxy of My Cat From Hell! Don't miss the premiere of My Cat From Hell Season two on Animal Planet, Wednesday January 7th, 2012 at 8pm EST! You've had quite a year, Rachel! It's been a privilege to be part of your journey, and I can't wait to see what next year brings. Happy New Year! Awww! What a great post! We received Greenies too! Amanda is a real sweetie. Happy New Year to you and the kitties. This next year is going to be so exciting for you -- I look forward to watching all the cool things you will do! Rachel...it has been both fun and inspiring to watch you blossom! I am fortunate to be able to call you friend! And 18 and interviewing Jackson Galaxy...be still my heart! Wishing the the kitties lots of Greenies Treats (mine are complaining they never got to taste theirs cuz they are ALL on a strict diet now so we are going to donate our gift from Amanda to some skinny kitties that need to gain some ounces instead of lose a few, hahameow! I'll toast to you, and your kitties and your family tonight! What a sweet post Rachel!! We are already in such awe of your amazing talent and can't wait to see what is in store for 2012!! All the best to you and yours! Happy New Year! Rachel, it was awesome meeting you at the CWA conference and I can't wait to see what 2012 brings you! Rachel how sweet of you to acknowledge us as well!!! with all that you have accomplished it is hard to believe you are only 18!!! Just think of everything that will be coming your way!!!! So looking forward to seeing you at BlogPaws again this year! Rachel, you embody the next generation of cat lover writers. It was a pleasure meeting and hanging with you at CWA conference. May 2012 be full of all good things!